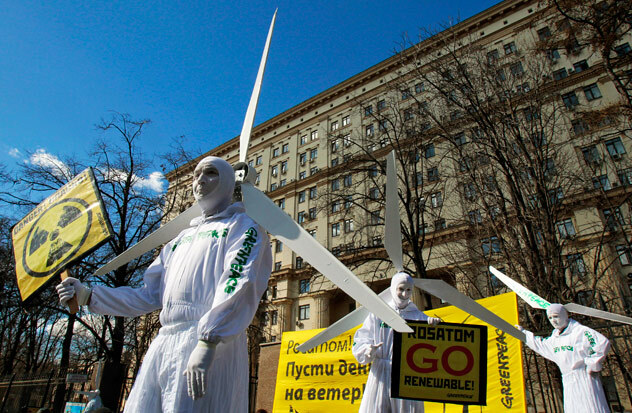 Activists from Greenpeace wearing dressed as windmills participate in a demonstration outside the Russian Ministry of Atomic Energy in Moscow April 19, 2011. The rally was organized to protest against nuclear power and promote the use of alternative sources of energy. Photo by Alexander Natruskin / REUTERS.